Glen Dene Hunting and Fishing will be at the Great American Outdoor Show in Harrisburg, Pennsylvania, from February 2 to February 11. 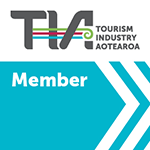 Host Richard Burdon and his staff will be here to talk to you about hunting trips and hunting packages undertaken on his privately-owned high country property, which is set amongst New Zealand’s Southern ... read more. Glen Dene Hunting and Fishing will be at the SCI / Reno-Sparks Hunters Convention in Peppermill, Nevada from January 9 to 12 at stand 1313, under the Universal Sportsman banner. Host Richard Burdon and his staff will be here to talk to you about hunting trips and hunting packages undertaken on his privately-owned high country ... read more. Cheers – As 2018 Comes to a Close! As 2018 comes to a close, we are reflecting on what has been another successful year at Glen Dene Hunting and Fishing. 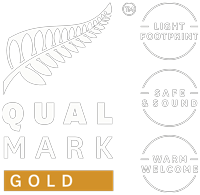 A real highlight was receiving a Qualmark Gold Award, which recognises that Glen Dene Hunting and Fishing delivers exceptional customer experiences and is leading the way in making New Zealand’s tourism industry a ... read more. A good friend of Glen Dene Hunting and Fishing, Brad Fenton, recently sent us this article from September 2017. It’s an interesting read on the discussions surrounding the use of suppressors in the US; something quite common in the hunting world in New Zealand. The author had been hunting with our team at Glen Dene. Have ... read more. Americana Outdoors heads to New Zealand! Here we’ll see first hand why this is such a bucket list destination for so many hunters as we target Red Stag and Tahr with Thompson/Center Arms’ Danielle Sanville, Wade and Angel Middleton and Eric Poole of Guns and Ammo. For more be sure and check us out online ... read more. Wade Middleton’s , Bucket List, New Zealand airs NEXT WEEK ! The premeires of the shows we shot will begin next week. The aspects of traveling to NZ and the Tahr hunting will come up first then be followed the next week by Stag hunts. This is just the first of MANY airings from there over the next 12 months. Also of note we won’t ... read more. Great week for the Wade and Henri at Glen Dene living the dream hunting and enjoying the beauty of Lake Hawea Red stags roaring. Great week for the Wade and Henri at Glen Dene living the dream hunting and enjoying the beauty of Lake Hawea Red stags roaring. Richard, Sarah and the whole team at Glen Dene, thank you for an awesome week. The hunting was spectacular, but the team there was my favorite part of the trip. Simply ... read more. Himalayan Tahr double with Glen Dene’s Dan Rossiter . Two great bull Tahr on the same hunt. www.glendenehunting.com read more. We are Joe and Natalie Kennedy from Atlantic Beach, North Carolina. We found Glen Dene online and after speaking to several outfitters on the North and South Island, we felt the best connection with Richard and his team at Glen Dene. We hunted the last week of March 2018, the very start of the Roar. ... read more. My name is Jacob Edson and I’m from Otsego, MN, USA. I found Glen Dene through a friend and outdoor writer Brad Fenson. I hunted in March 2018 alongside Glen Dene guide Neil Connoly using my Savage Accufit model 110 in .30-06. The hunting and hiking was hard, but the reward was so, so worth it. ~What did ... read more.